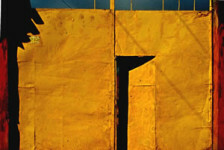 Born in a small Indiana farming community in 1953, Jeffrey Becom painted from an early age. 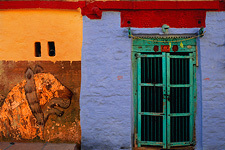 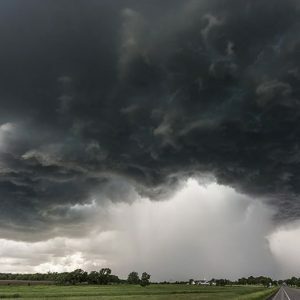 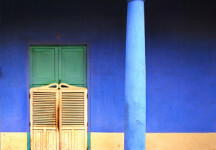 He began to develop his photographic skills while earning a degree in architecture from the University of Cincinnati. 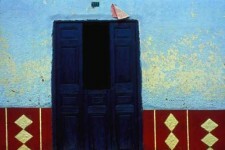 After moving to San Francisco to practice, Becom opted out of an architectural career to immerse himself in a private obsession: observing, studying and recording with camera and paintbrush the wondrous color and detail of the simple houses of farmers and fishermen in remote Mediterranean villages and hill towns. 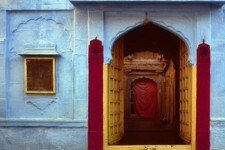 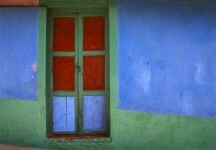 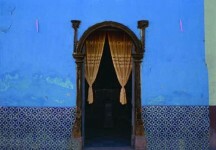 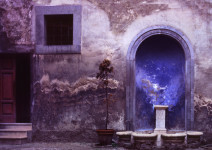 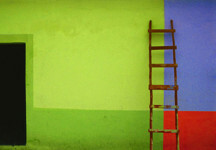 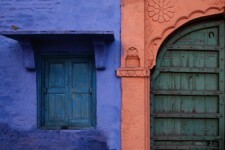 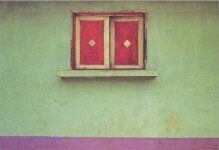 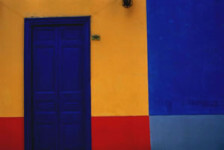 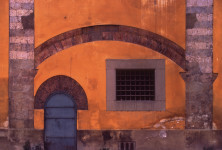 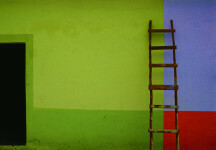 Combining an architect’s love of geometry, pattern and texture with a painter’s sensitivity to color, light and composition, Becom spent a decade creating the series of photographs collected in his first book, Mediterranean Color (Abbeville Press, New York, 1990), with Pulitzer Prize-winning critic Paul Goldberger. 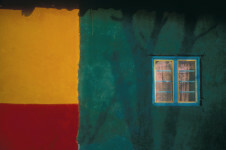 This book documents with camera and words, the fascinating history as well as myths behind the remarkable colors on the simple houses of farmers and fishermen. 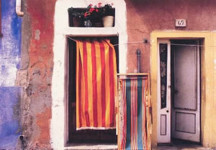 Becom’s work has also been showcased in “For the Colors”, an hour-long PBS (public television) documentary joining him in Italy in 1991. 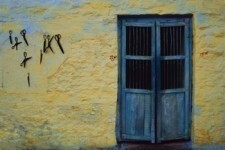 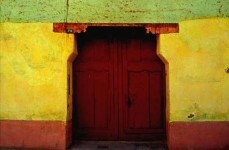 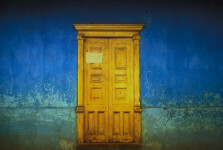 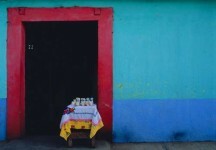 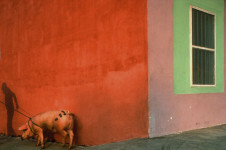 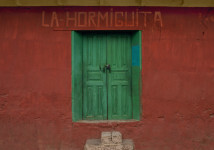 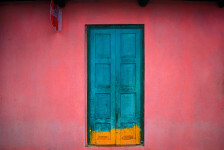 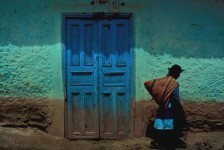 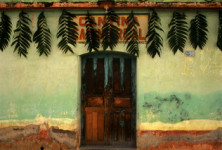 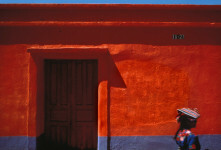 In 1993 Becom had a retrospective exhibition of oils, watercolors and photographs at The Octagon’s American Architectural Foundation galleries in Washington, D.C.
Jeffrey Becom continues to divide his time equally between work in his studio and more recently, extensive travels throughout Mexico and Central America. 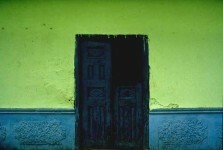 Maya Color (Abbeville Press, New York, 1997), co-authored with his wife, Sally Jean Aberg, was conceived when Becom began to wonder why so many cemeteries in Southern Mexico are painted blue and green. 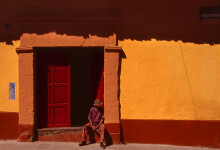 This curiosity led him and Sally on a journey of eight years’ inquiry and research into the painting traditions of the living Maya. 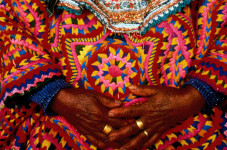 They grew to know a remarkable culture whose sacred colors are not merely a matter of preference but a powerful statement of belief stretching all the way back to their ancient painted pyramids. 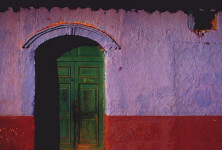 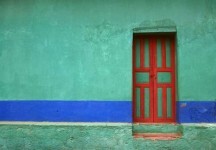 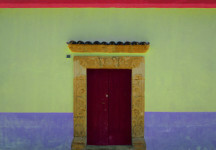 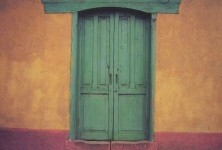 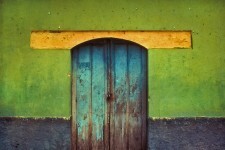 This new book documents the beauty as well as the power within the colorful traditions of Latin American architecture. 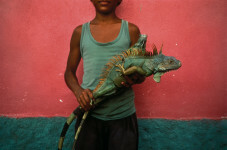 Jeffrey Becom’s limited edition Ilfachrome (i.e. 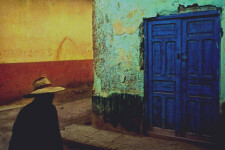 cibachrome) photographs, as well as his watercolors and oil paintings, are represented in public and private collections throughout the world.